Pipeland Medical Practice is a medium sized medical practice in St Andrews, Scotland. With a large and diverse patient base including two-thirds of the St Andrews student population the practice has taken a positive and pro-active approach to communication. The site is purposely simple and easy to navigate as well as easy to maintain by a devolved group at the practice. 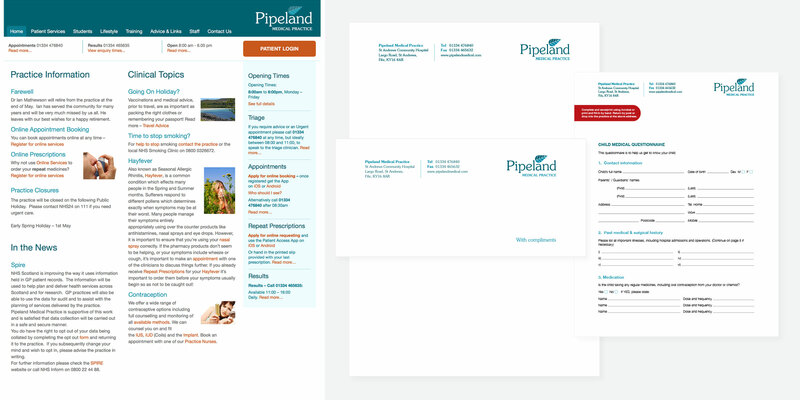 In addition to the website we developed a suite of stationery items and downloadable interactive PDF forms.